In the shadows of the new Mercedes-Benz Stadium lies a community with a rich history. The neighborhoods of English Avenue, Vine City, Ashview Heights, Castleberry Hill, Atlanta University Center, Washington Park, Grove Park, Dixie Hills, and Bankhead, have all experienced thriving times, but unfortunately today, of the area is facing challenges that has led many concerned for its future. Due to many years of disinvestment, Westside Atlanta is the home to some of the most violent streets in our country. 33% of the homes are abandoned, drug use is rampant, and 60% of the children are in poverty. We know that a lack of educational programs, mentors, and emotional support for children can lead to risky behaviors, truancy, and little chance of having basic values. Therefore, the need for teaching the difference between right and wrong, providing positive role models and guiding youth to be leaders is more important than ever before. This is where the Boy Scouts of America comes in. The programs of the Atlanta Area Council can make a visible difference in the lives of families. Scouting, by emphasizing ethics and moral values, prepares youth to be leaders, to accept responsibility, and to care about principles and causes beyond their own self-interest. 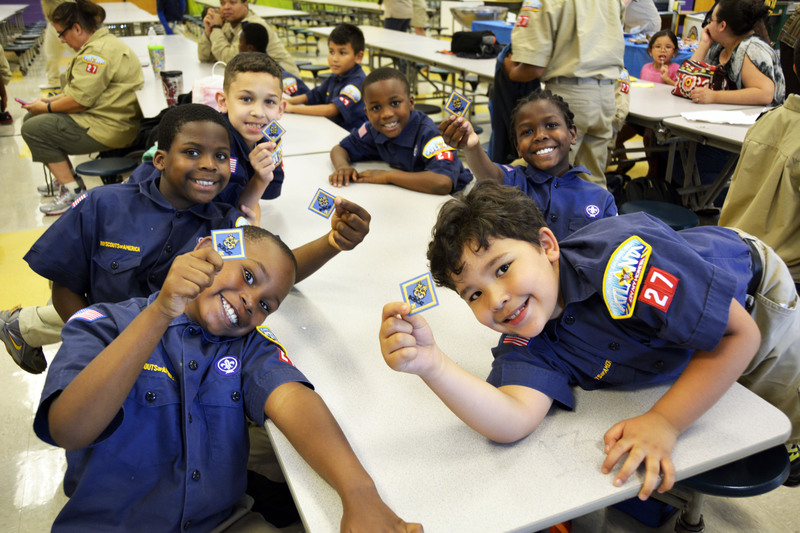 Through Scoutreach, the Council removes any barriers that might keep a young man from participating in Scouting. Finding committed parents to volunteer is often challenging in low income areas because of time limitations. 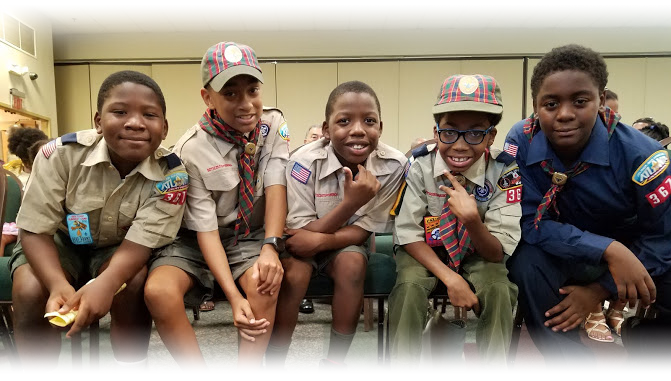 Through Scoutreach our paid staff leaders, called Program Specialists, implement the program on a weekly basis providing Scouts with the best Scouting program including all of the handbooks, uniforms, and program supplies that they could ever need. Additionally, camp scholarships, transportation, and food are provided as needed to make sure that they receive the best of what Scouting has to offer – the outdoor classroom. With the appropriate funding, the Atlanta Area Council is ready to deploy trained, energized, and passionate Program Specialists to make an impact the Westside. 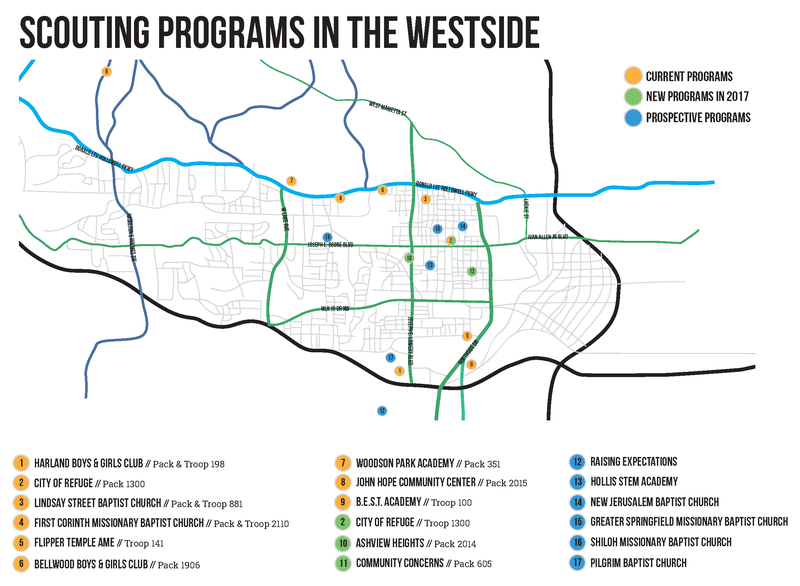 Click here to download a brochure with more information on the Westside Initiative. For more information and to learn how to get involved with the Westside Initiative, email Faye Hammonds.